Note: As with any product review articles we write, we have not been paid or compensated in any way that would cause us to give anything less than an honest and accurate review of the product being reviewed. E.g. we’re not biased, we’re simply writing a product review to help out our fellow gardeners and farmers who might consider buying this product(s). Gardening supplies that our team uses and recommends can be found in the Organic Gardening Supply Store. We grow a lot of plants. Last time we counted, my wife (aka The Tyrant) and I have over 350 different species of edible plants that grow in our edible landscape throughout the year, where we produce food in all four seasons. 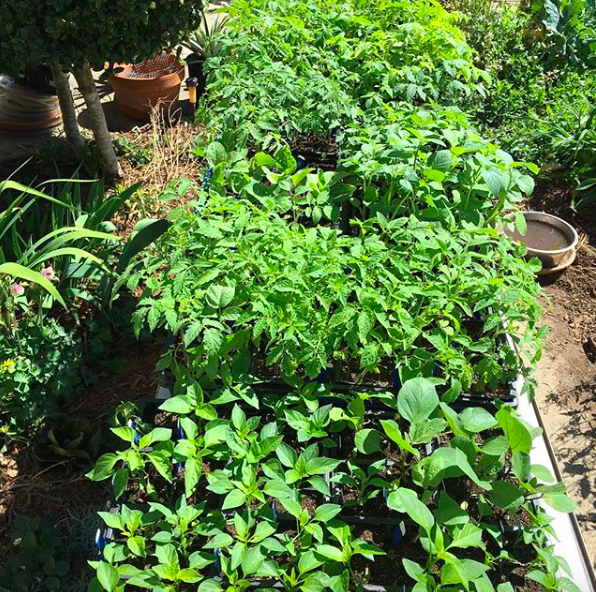 Trays full of summer garden seedlings almost ready to transplant into the garden. 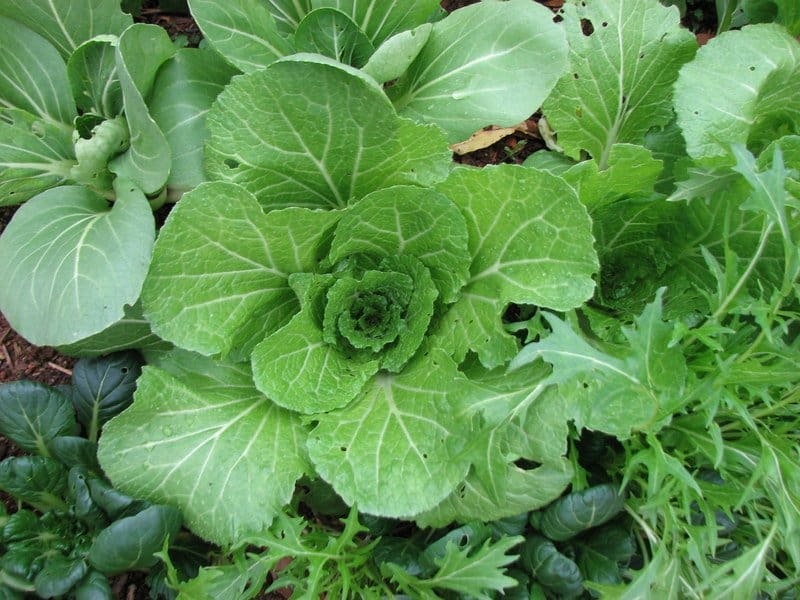 While many of these plants are perennials that come back each year, quite a few others are short-lived annuals and biennials that we start from seed. That means we have our own indoor DIY grow light setup and know a thing or two about successfully starting plants from seed. One thing that has always irked us is how flimsy our plastic seed starting trays and cells were. Under normal wear and tear, we were lucky to get a single season use out of them before they broke, cracked, or became too brittle to use. Sure, we can recycle them, but wouldn’t it be nice to simply have something that we can reuse season after season, year after year? After losing one too many trays and having water spill on our “greenhouse,” er dining room floor, The Tyrant finally decided she’d had enough. Using the magical powers of the internet she soon found a company, Bootstrap Farmer, that claimed to offer sturdier, longer-lasting trays, cells, and other seed starting supplies. Who Is Bootstrap Farmer? Actual Farmers. After doing some reading about Bootstrap Farmer, we found out the company was aptly named: they are in fact a family farm growing produce for their food truck. Tired of low-quality seed starting supplies, they decided to make their own better ones. Next, we read the customer reviews on their products… nearly every one of them was 5 stars on Amazon. 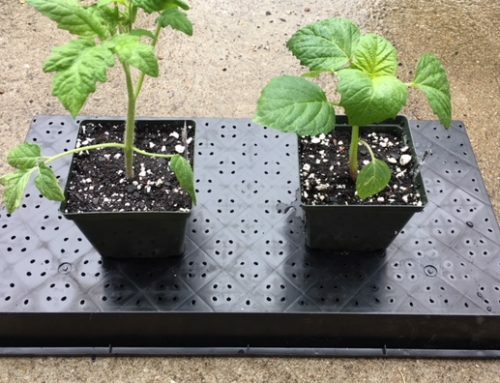 Gardeners and farmers alike loved them and were saving money and aggravation by not having to regularly replace their trays and cells. 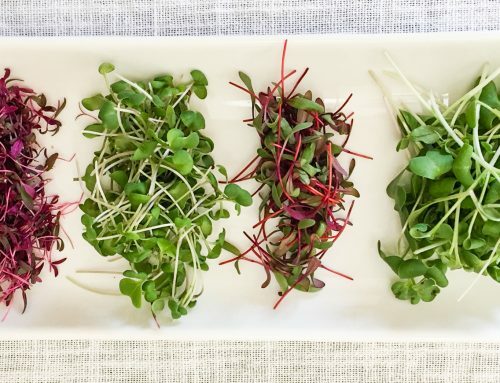 I reached out to the founding farmer, Brandon Youst, to let him know we’d be writing this review, and we geeked out about seeds and seed starting. Loading up our new Bootstrap Farmer seed trays with seed starting mix. 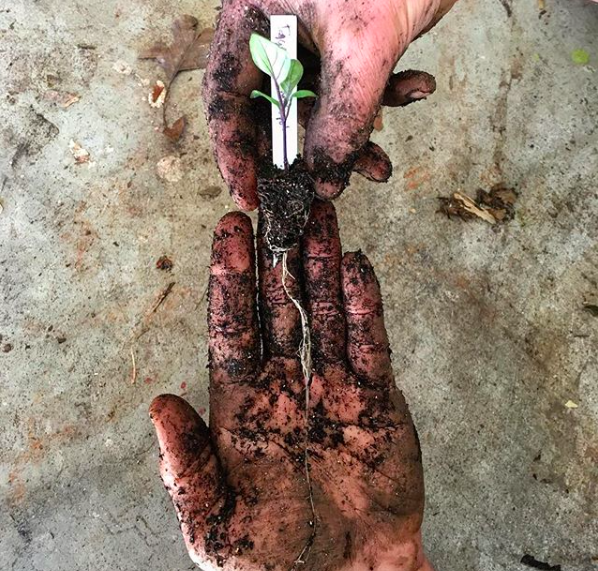 New gardeners be warned: don’t use gardening soil or standard potting soil for seed starting, instead use seed starting mix – learn why here. Since the main aim of Bootstrap Farmer is to provide more durable, higher quality products that don’t have to be replaced regularly, it would not have made much sense for us to write a review immediately after trying the products. Instead, we decided to put them through the wear and tear of a full growing season (or two since we’re now using them for the second time to start our late summer/fall seeds). A 72 cell tray full of newly planted and labeled summer seeds. The vented humidity dome is helpful for maintaining high moisture levels inside up until your seeds germinate, but you’ll want to remove it after germination to prevent fungal diseases like damping off. We beat up our seedling trays and cells quite a bit, especially our winter/spring seed starts. Why? As the weather warms, we take them out during the day to get free sunlight and bring them back inside any time the temps get too cold. 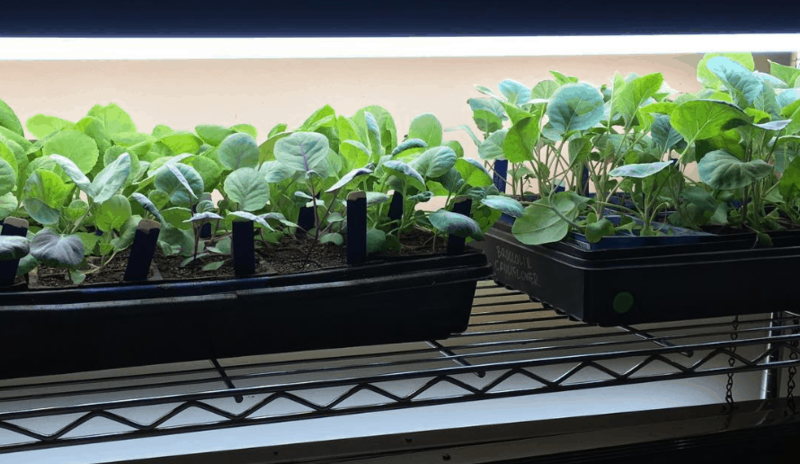 During transplanting, it’s not uncommon for our trays to get dropped, have a spade or rock smack against them, etc – all things that usually end the life of a standard seed starting tray. A small hole in the bottom of each cell allows for good drainage and for the seedling roots to grow out into the tray below. To remove the seedlings, we gently pushed a chopstick into the hole to dislodge the seedling from each cell. Immediately upon opening the package, it was evident how strong the Bootstrap Farmer trays and cells were. A 20 pound dumbbell placed on top that would crumple a standard tray just slightly bent our Bootstrap Farmer trays (we tested them with a 14 pound cat before moving up in weight). There are also minor differences in sizes, shapes, and depth in Bootstrap products that make them better/easier to use than other comparable products we’ve used over the years – e.g. you can tell the people who designed them actually grow plants and have an eye for detail. The roots on all of the summer seedlings (like this eggplant) we started in our 72 cell Bootstrap Farmer trays were healthy and vigorous. We potted them up into Bootstrap’s 2″ seedlings pots once they reached this size, then transplanted them outdoors after last frost. After the wear and tear of the winter/spring seed starting and transplanting season, every Bootstrap tray and cell was as good as new, albeit a little dirty. No breaks, no cracks, no need to replace anything. 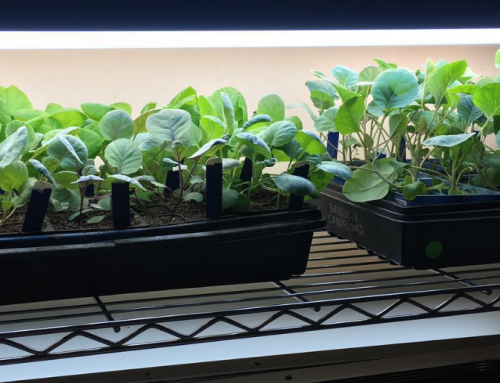 Now, they’re full of seedlings for the next growing season: Brussels sprouts, cabbages, and other cool season goodies. 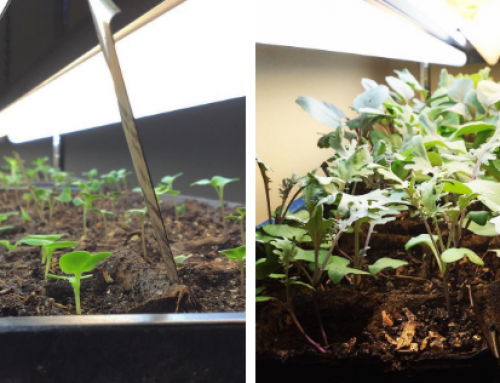 Fall seedlings in our still like-new and stronger-than-tarnation reused Bootstrap seed trays. We have no idea how many years our Bootstrap Farmer supplies are going to last, but they’ve already outlasted many of the flimsy supplies we’ve used in years past, plus they come with a 1-year warranty, so if they break under normal wear and tear, Bootstrap will replace them. We haven’t had to use their customer service, but according to online reviewers who did, Bootstrap is responsive, honest, and helpful. Excellent quality products combined with great customer service explains why their Amazon reviews are so high. Our only concern for the company is that gardeners and farmers won’t have to buy more supplies in the future so the more supplies Bootstrap sells, the fewer customers they’ll have in the future! Of course, that means the rest of us have a job to do: get more people growing food so great gardening/farming supply companies like Bootstrap Farmer can keep doing what they do. Our rating? As you might have guessed: 5 stars, highly recommended. If you’re planning to start seeds soon for fall gardening, get Bootstrapped! Just where is the cheapest source for the insert trays? We are new to farming and will need to start many seeds. It really depends on what type of inserts you want and the quantity you need. Obviously, the bigger the order, the larger the discount. Sorry there’s not a single, clear answer to your question here, Jennifer.